Triage: Can a bleeding Red Cross heal itself? 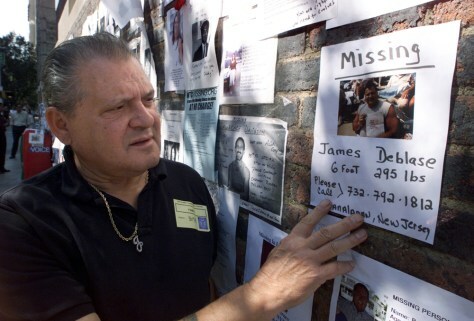 James Deblase looks at a photo of his son posted on the wall outside the 69th Regiment Armory in New York on Sept. 18, 2001. The Armory temporarily served as a compassion center for relatives of the dead and the missing until Bernadine Healy, then director of the American Red Cross, persuaded Mayor Rudolph Giuliani to relocate it.